Many people discover San Francisco's mermaids by accident. 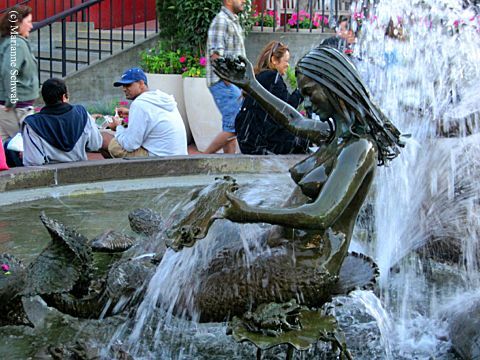 Located in Ghiradelli Square in the Fisherman's Wharf area, most tourists will stumble upon the two mermaids in Andrea's Fountain after getting a taste of the famous Ghiradelli chocolate in the shop adjacent to the square. 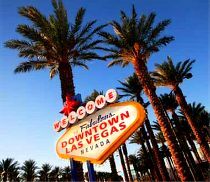 Although Andrea's Fountain was unveiled in San Francisco, California, amid some controversy in 1968, the fountain's creator, Ruth Asawa had a vision to design a sculpture that could be enjoyed by everyone. She spent one year thinking about the design and another year sculpting it from a live model and casting it in bronze. Ruth Asawa was well known for her abstract, wire sculptures, and was selected by William Roth (who was the owner at the time) to design and create a centerpiece fountain for Ghirardelli Square. Landscape architect Lawrence Halprin, who was hired to convert the square and its historic brick structures to an integrated restaurant and retail complex, attacked Asawa's design of a nursing mermaid seated on sea turtles for not being a "serious" work. However, Ruth Asawa's intentions were clear and she defended her art by saying, "For the old it would bring back the fantasy of their childhood, and for the young it would give them something to remember when they grow old!" Sculptor Ruth Asawa wanted to create something related to the sea and she thought of all the children, and maybe even some adults, who would stand by the seashore waiting for a turtle or maybe even a mermaid to appear. Asawa described it this way, "As you look at the sculpture you include the Bay view which was saved for all of us, and you wonder what lies below the surface." 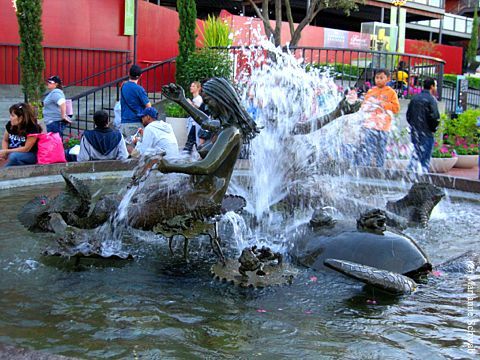 San Francisco's mermaids at Andrea's Fountain are probably one of the most photographed features of Ghirardelli Square. The fountain was named in honor of Andrea Jepson, the woman who served as the model for the mermaids. If you're headed to the city by the bay, you'll want to check out the latest way to get around San Francisco - the cool new GoCars. San Francisco is one of a many cities that feature mermaid sculptures and all of their whimsey. I also discovered a twelve foot mermaid in San Diego and I love taking photos of unique statues and sculptures around the world that I happen to stumble upon in my travels.